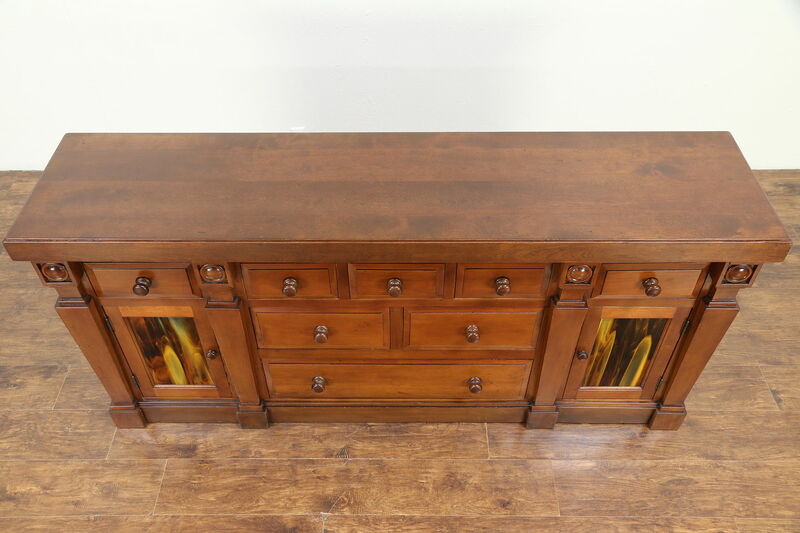 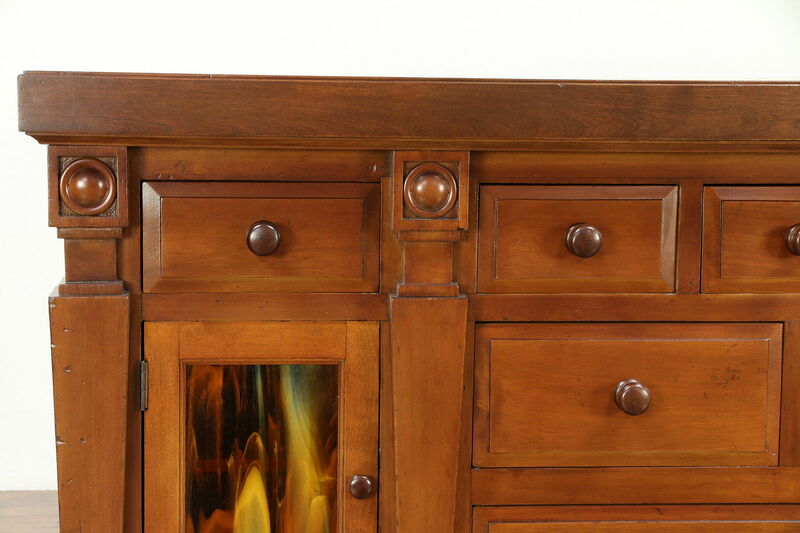 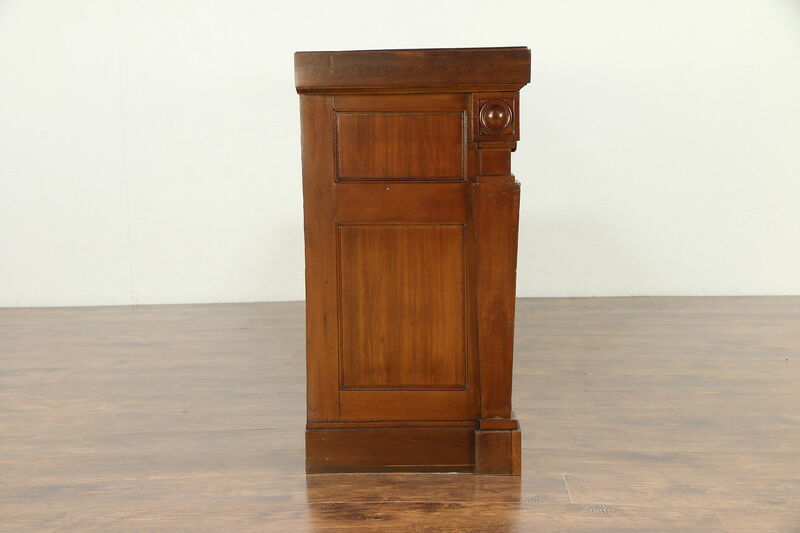 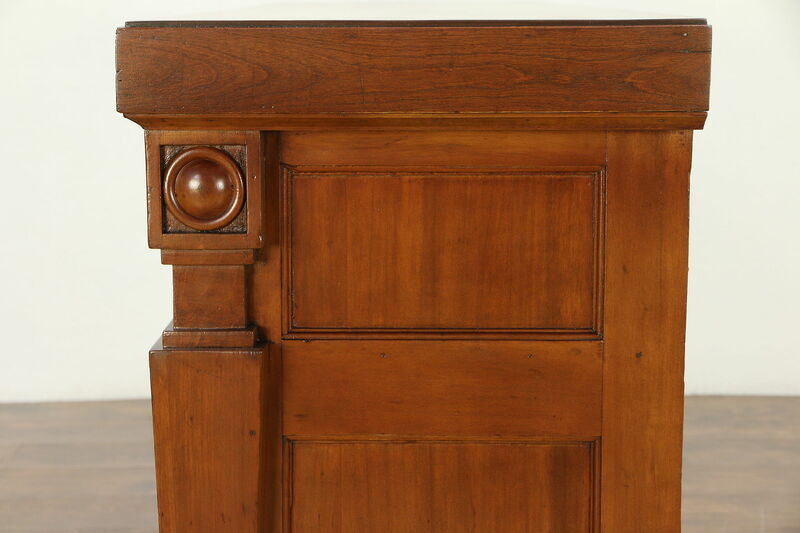 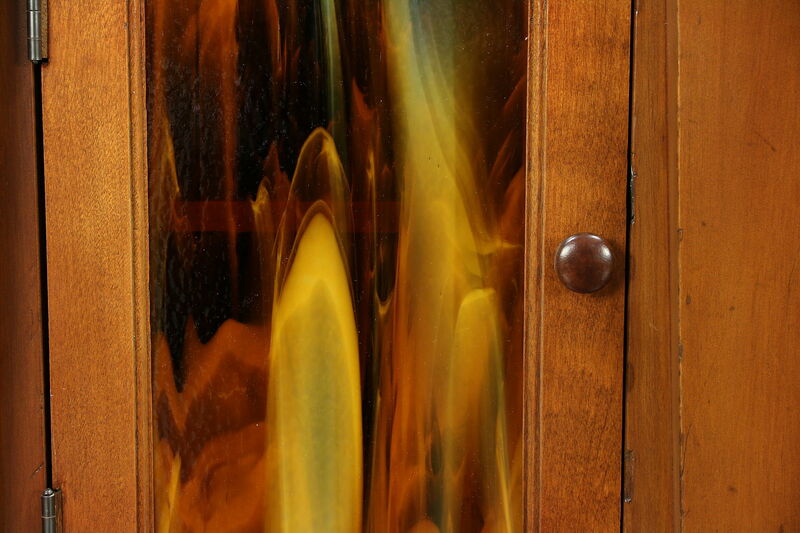 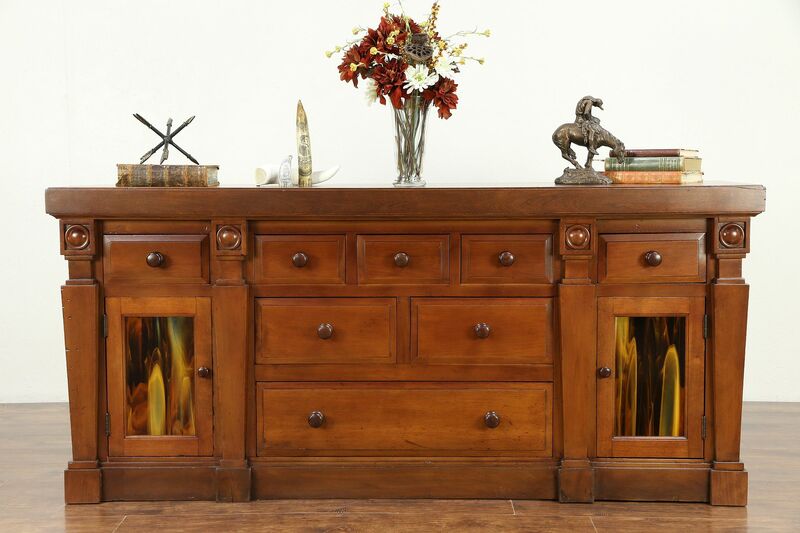 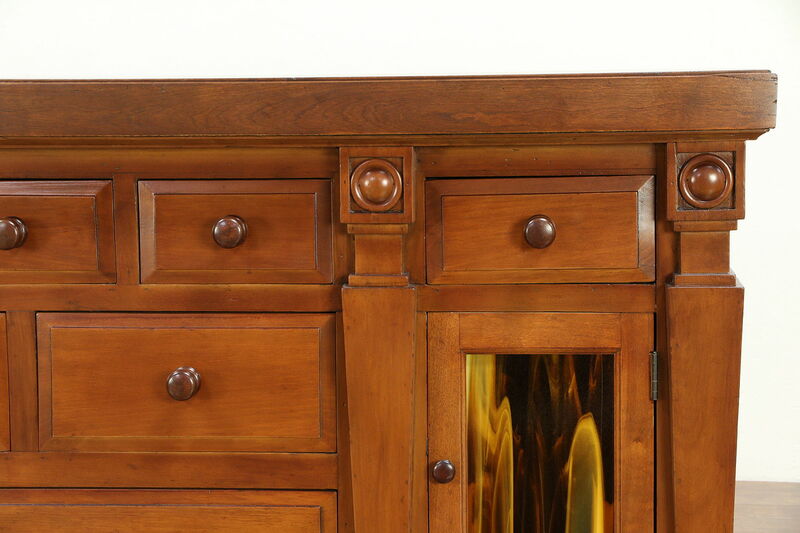 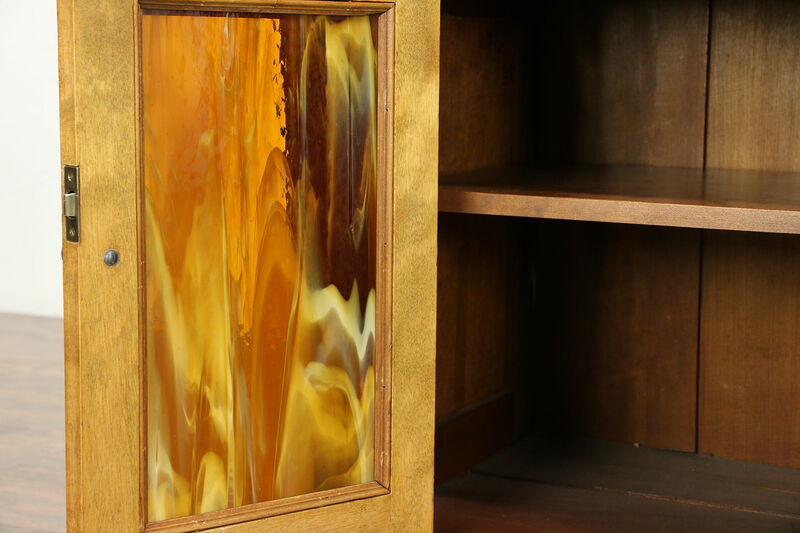 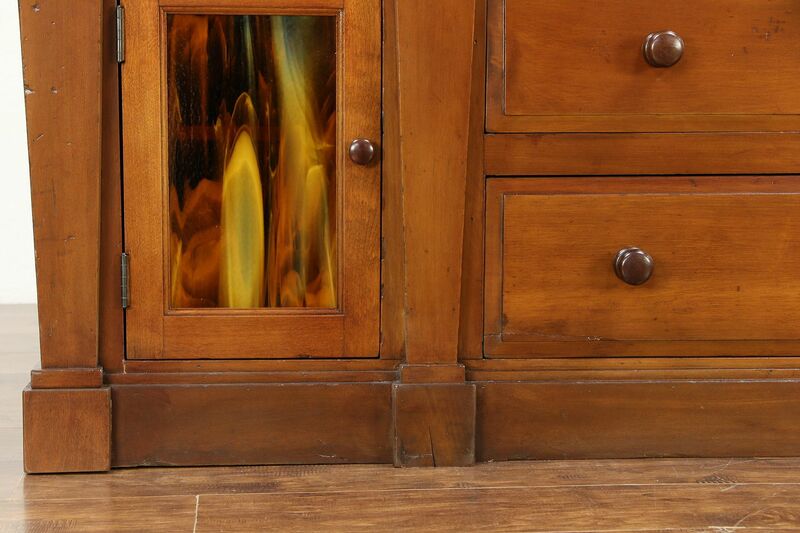 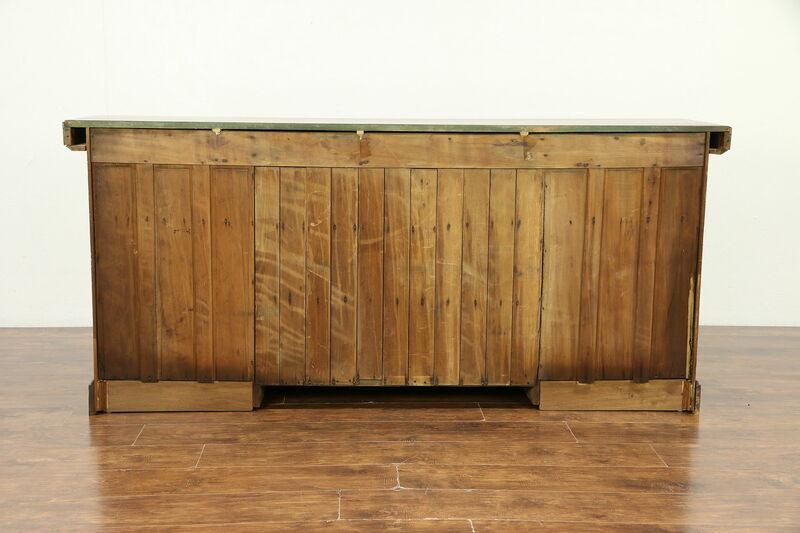 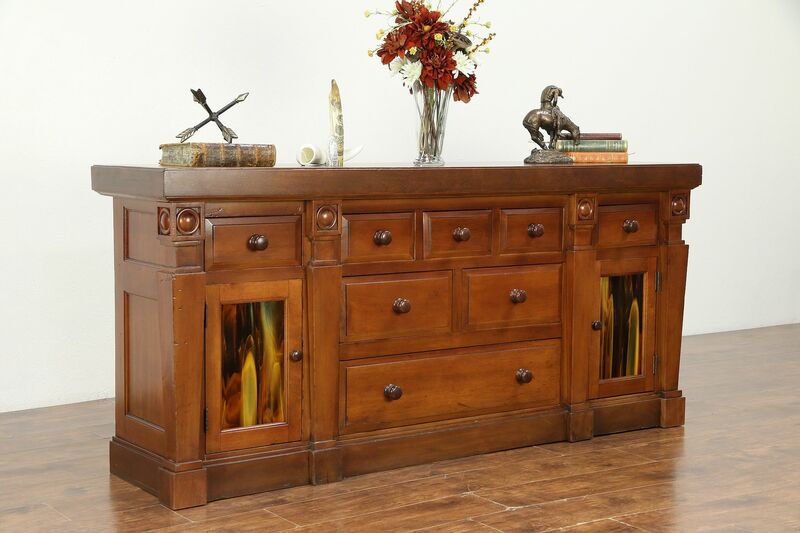 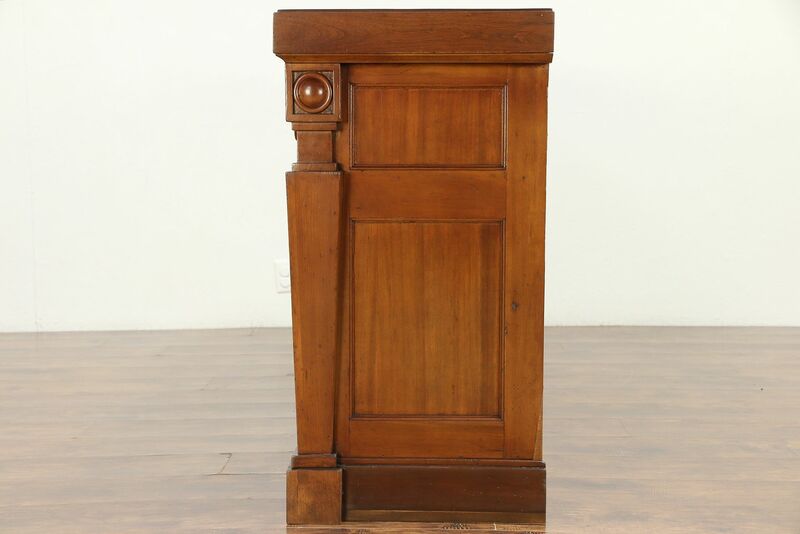 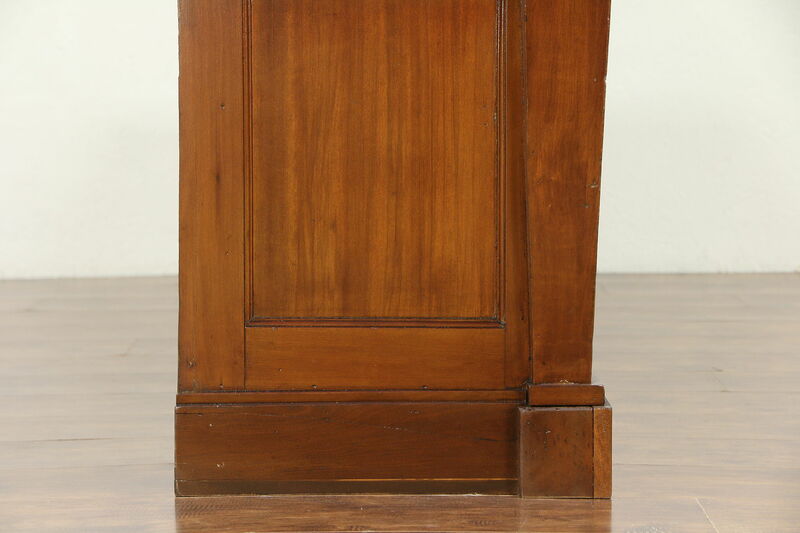 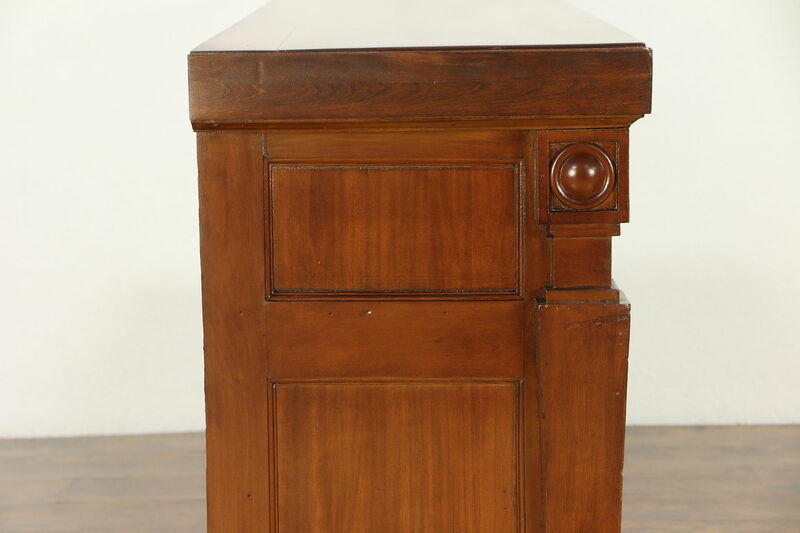 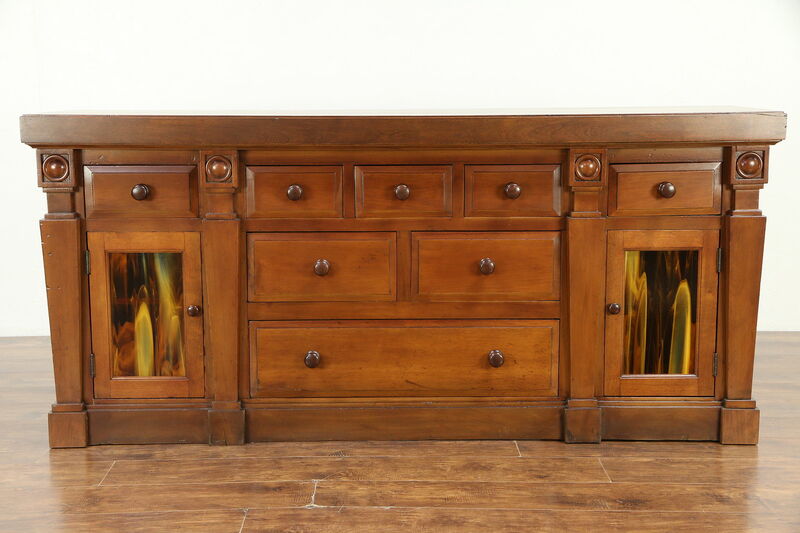 A classical design sideboard, server, buffet or TV console cabinet was crafted about 1900 with stained glass doors. 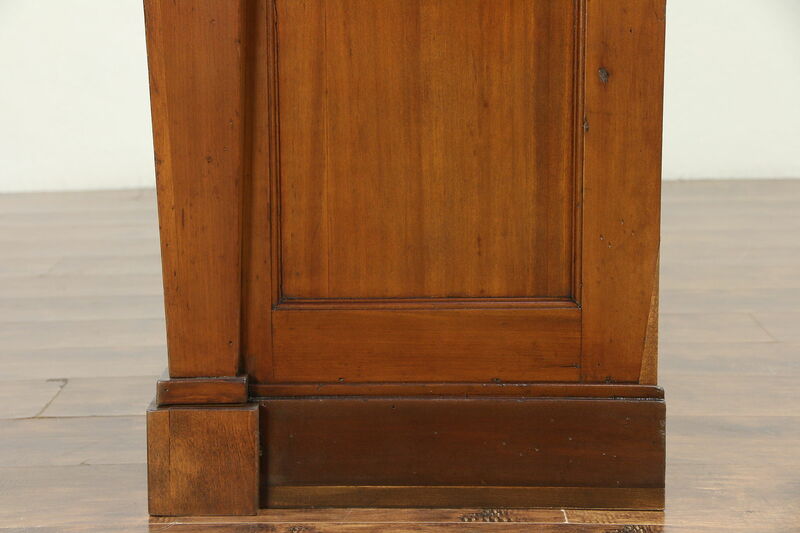 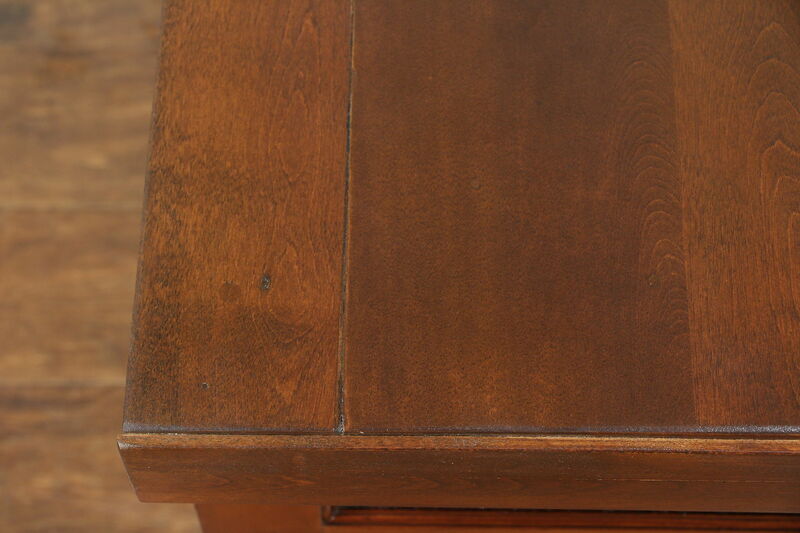 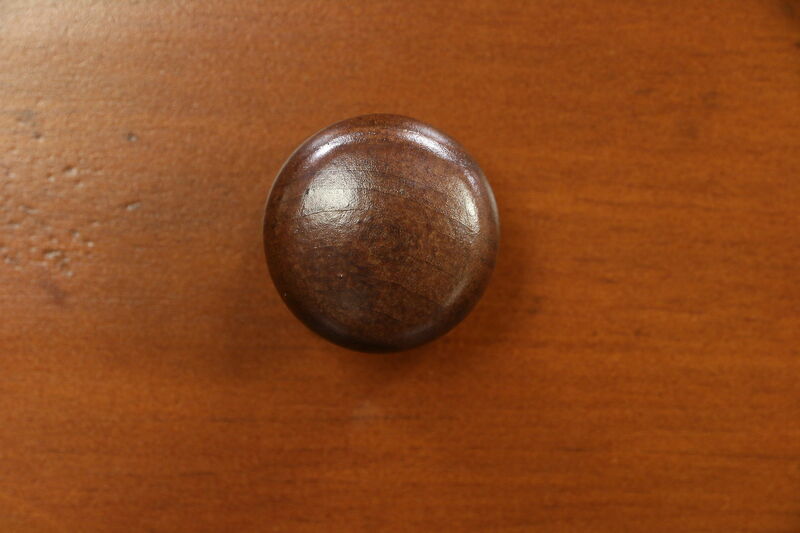 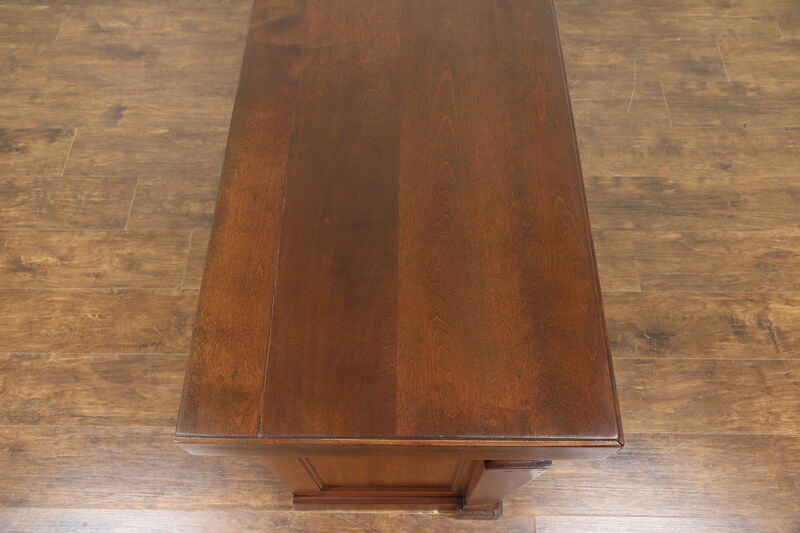 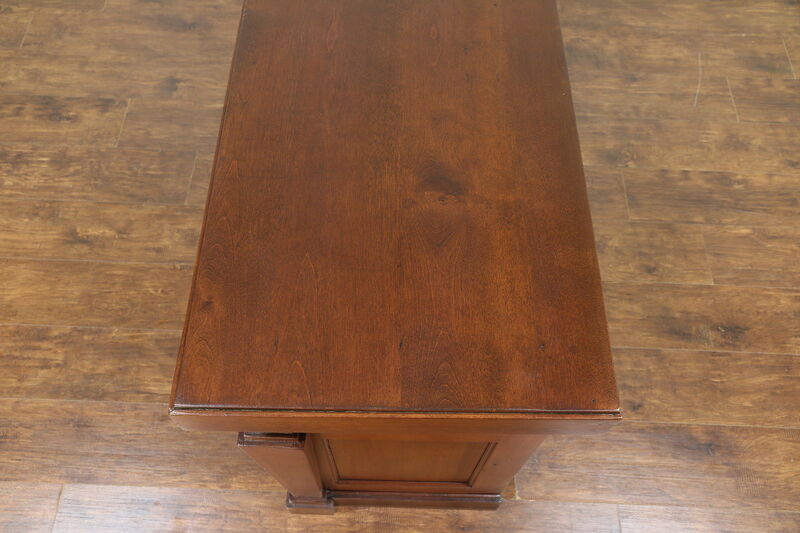 The restored cherry finish is in excellent condition on solid birch hardwood, preserving just enough mars and wear for a little antique character. 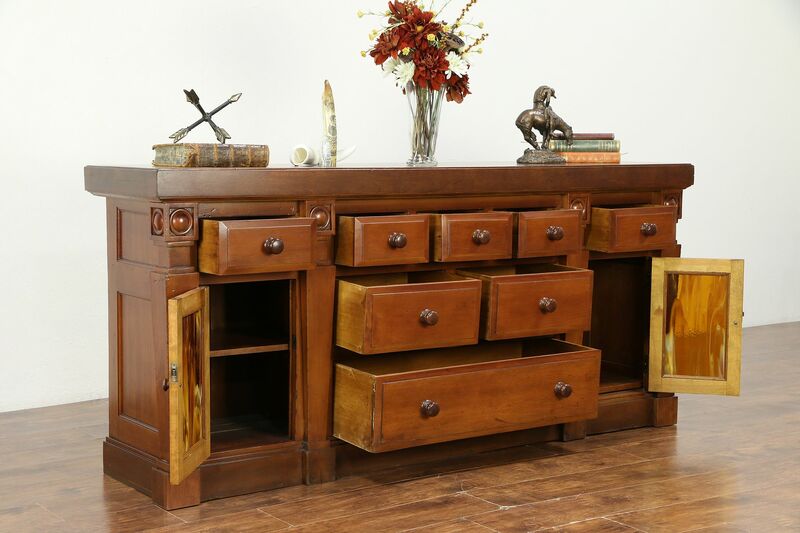 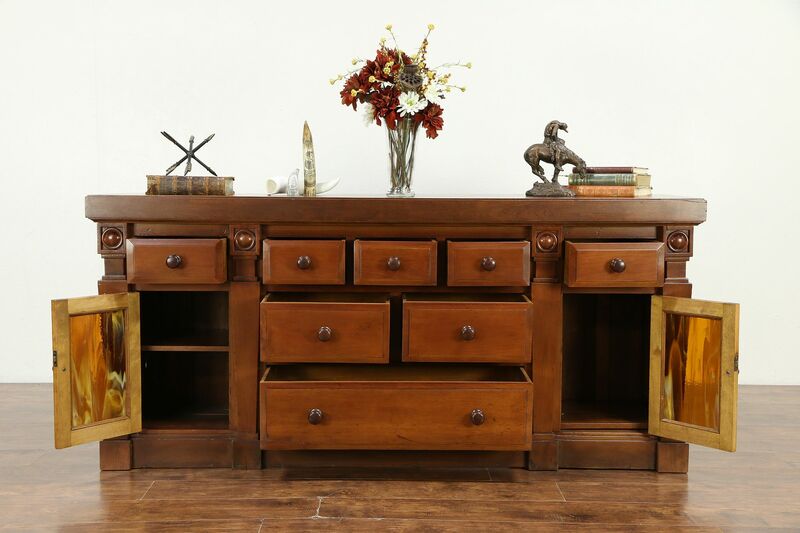 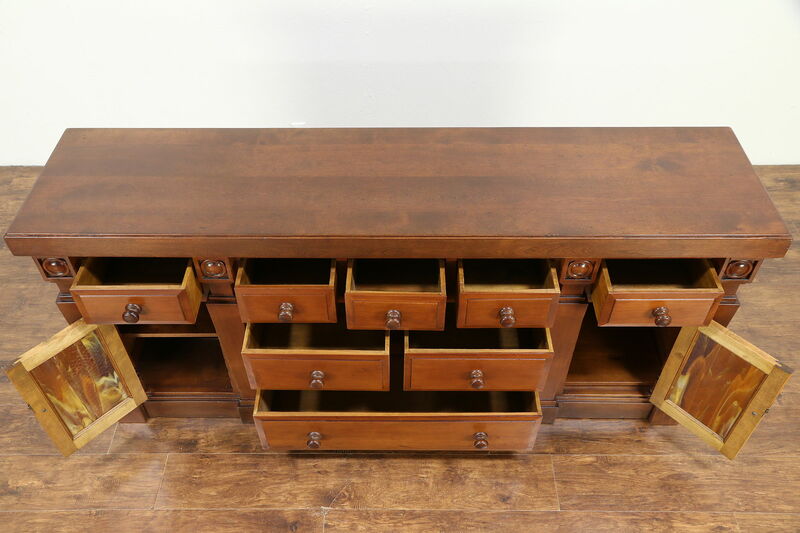 American made furniture, lines are bold. 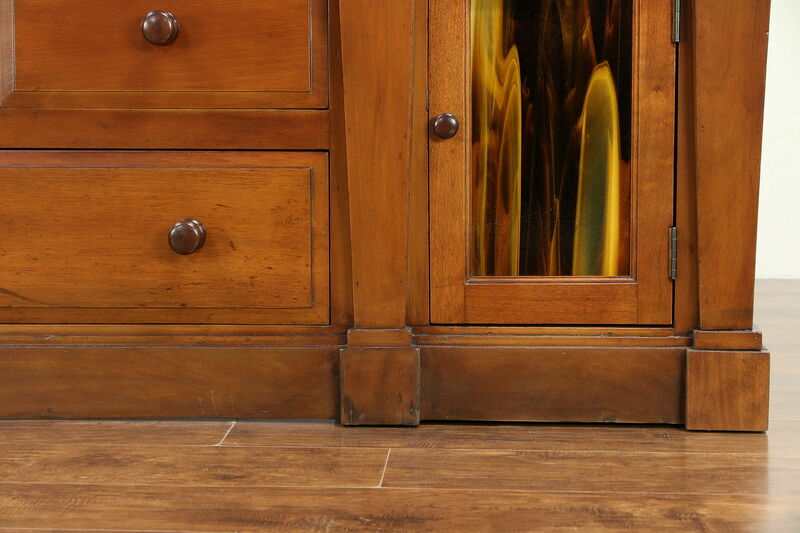 Size is 79 1/2" long, 19" deep and 36" tall.